Saving cord blood back then, is considered to be an unpopular practice. Not only is it costly but a huge number of individuals find its use to have little to no application. With that being said, as technology progressed more and more medical treatment has relied greatly on the use of cord blood as their primary source of stem cells. Let us look at how people are able to benefit greatly from saving their child’s umbilical cord blood. Before we head straight to the benefits, let us first give cord blood a brief description to help give you an overview on what to expect about them. The umbilical cord blood is the part that connects a baby in the womb to its mother. This is removed after giving birth and is disposed in a timely manner. However, as mentioned earlier modern technological advancements were able to find effective use of cord blood through stem cell extraction. Making it necessary to find adequate to storage facilities to help keep them in good condition. 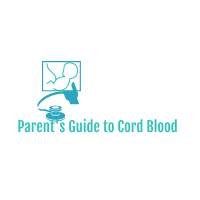 It is important to note that cord blood does not need to be used right away and as a result, people often store them in preparation when the day comes that they will be utilizing it. During such cases, the services of a private cord blood banks become quite handy to acquire. With their help, clients will be able to store cord blood and retrieve them at any given time when the need calls for them to do so. This in turn makes it possible for their loved ones as well as their relatives to use the stored cord blood when the need arises. Having a steady supply of stem cells can provide owners with a huge amount of convenience and relief as they can work wonders in treating a number of diseases that harm the blood and immune system. This includes the likes of leukemia and certain cancers, sickle-cell anemia, and some metabolic disorders. In addition, medical technology has also help paved the way in making stem cell treatment as well as therapies with cord blood become more successful which helps give a huge number of clients an added confidence boost they need in helping them pursue this endeavor. Saving Cord Blood at What Cost? The ability to save cord blood is indeed providing greater opportunities to people who are willing to try them out. With that being said, it should be noted that saving cord blood especially if you decide to do them in a private manner is a service that is not available free of charge. Clients are expected to prepare a heft amount of money in order to make use of the services of private cord blood banks. You can expect a fee ranging from $1,400 to $2,300 for collecting, testing, and registering charges. This does not include the annual storing fee which can also range from $95 to $125. Regardless, many were able to reap the benefits of cord blood banking making it a worthwhile investment for your future. Next post Is Cord Blood Worth the Time and Investment?